Kitchen remodeling can be one of the most intimidating home remodeling projects, and many people live with outdated or inconvenient kitchens for years out of fear of the upheaval and expense of remodeling. It can be a big job, but with the right kitchen remodeling contractors, you can stick to your budget and schedule while minimizing disruption. Many myths have grown up around renovation contractors and what you should and shouldn’t do with a kitchen remodeling job. It’s important to separate myth from fact so you can make your kitchen remodeling decisions based on sound information. Here are 5 kitchen remodeling myths to be aware of. The truth is, there are different degrees of remodeling, and this is what determines how much you should spend. If you only want new lighting and wall covering, you clearly don’t need to spend as much as you would if you wanted new cabinets, countertops, and appliances as well. You’ll probably end up spending somewhere between 5% and 15% of your home’s value for kitchen remodeling once you determine what you most want to change about your kitchen. Renovation contractors can do anything from a cosmetic renovation to a complete overhaul, and it’s up to you where your remodeling job falls on that spectrum. 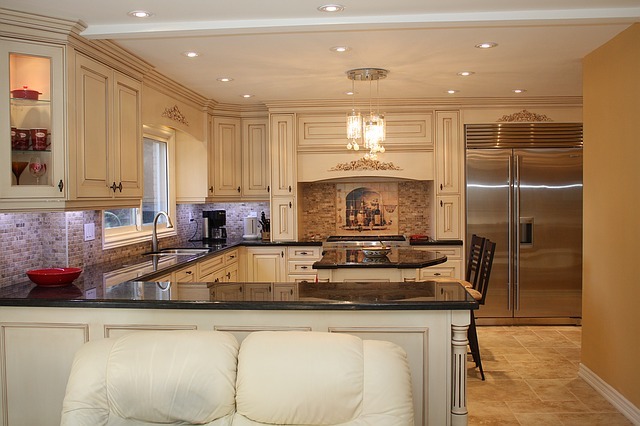 Many people don’t realize how big a kitchen remodeling job can be, and how critical it is that it’s done correctly. Not only must your kitchen be safe, it should harmonize with the rest of your home and ideally add value to it. Unfortunately, some people think that because they know how to put together flat-pack furniture from IKEA they can DIY a kitchen remodeling job, but that’s simply not the case. Outstanding kitchen remodeling contractors don’t come cheap, but the ones with loyal clients are the ones that do things correctly the first time. Kitchens should be remodeled in accordance with your needs. If you plan on staying in your home indefinitely, you should remodel in accordance with how you use your kitchen. If you plan on selling your home within the next few years, you’ll want to talk to kitchen remodeling contractors about how you can change your kitchen to make your home appealing to buyers. If there’s a trend you particularly like, use it, but don’t plan an entire kitchen renovation around what’s “hot” right now. It may look horribly dated in a few years. Lighting never is an afterthought, and this is particularly true of the kitchen. When you consider renovation contractors, ask about their experience in lighting renovations. Before construction begins on your kitchen renovation, at least narrow down your lighting selections and choose carefully. The best kitchen remodeling contractors understand how a kitchen should be lit and know that leaving lighting until the end of the project risks having to go low-end to stay in budget, or settle for lighting that isn’t ideal. Lighting is one of the most important things in making any room “work,” so consider it carefully, from the beginning. The floor of your kitchen has to be right to tie everything together, and trying to cut corners by putting in a cheaper floor (perhaps so you can buy higher-end cabinets) is never a good idea. Floors are much more than just another kitchen surface, and going cheaper to stay within budget often ends up backfiring, when you want to rip it back out again after a year or two. Like lighting, flooring is essential to the overall look and feel of your kitchen, so it should be carefully considered from the very beginning. Perhaps the biggest myth kitchen remodeling contractors see is that kitchen remodeling is by definition going to be “too expensive.” That is not necessarily the case, particularly when you factor in the increased enjoyment you’ll get from a kitchen that’s aesthetically pleasing and provides you with the storage, work surfaces, and appliances you need to enjoy the many hours your family spends there. Ask about credentials, contact former clients, and make sure you have a good rapport with the remodeling contractor you choose. A great kitchen makeover takes time, but with the right materials and the right contractor, it can give your house a terrific new look and feel.